Through 4/30, shop Sorel.com and save 44-55% on a selection of Sorel boots for women and men when you enter promo code SORELAPR19 during checkout. Shipping is free when you sign into or create a free Sorel account. Otherwise, it adds $6. For example, the pictured women's Tivoli III Boots drop from $130 to $77.90 to $58.42 after the code. They are available in the pictured Curry color in a full range of sizes at the time of posting. That's the lowest price we've seen this season by $15. Sales tax is charged in most states. 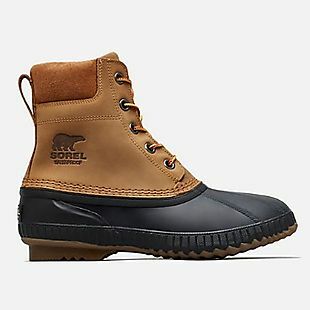 Originally $155, these men's Sorel Cheyanne II Leather Duck Boots drop from $92.90 to $69.67 at Sorel.com when you add promo code SORELAPR19 at checkout. Shipping is free when you sign into or create a free Sorel account. Otherwise, it adds $6. That's the lowest price we found on this style by $14, and most sites are charging over $92. These boots feature waterproof leather uppers, 200-gram insulation, and removable cushioned footbeds. They are available in five colors in varying sizes of 7-15. You can apply this code to any of these Sorel styles to save up to 55%. Sales tax is charged in most states. 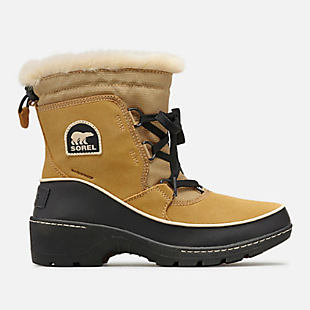 Sorel charges a flat rate of $6 for standard shipping, which should arrive within 3-7 days depending on the delivery location and shipping origin.